This is a rectangular Consolidation Coal porcelain sign. This particular Consolidation Coal sign is brown and white. 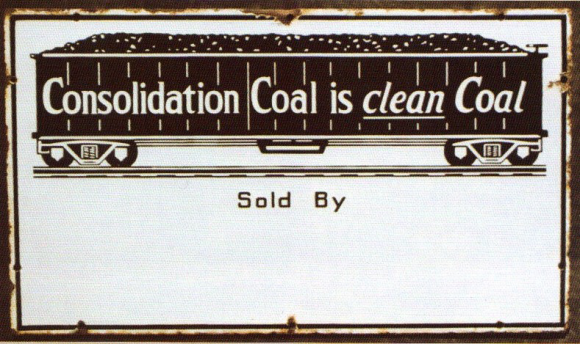 It reads, “Consolidation Coal is clean Coal, Sold By” and features a train coal car.